James Davis, a summer camp consultant and summer camp director, lives in Dover, NH. He wrote to tell me about his Free-Range-y camp. I like what I heard. But having spoken at many camp conferences, I’ve come to believe that overnight camp is inherently Free-Range, in that the kids are away from their parents. There’s just something heady about being on “your own,” even in the more structured camps. In a world that’s restricting kids more and more, running a summer camp that advertises only having three rules might sound like less than a wise idea. But for the last four years, that’s exactly what we’ve done. You see, I used to run a very traditional “small group” summer camp, but it never felt like something I’d do forever. I took a seven year hiatus from summer camping to play professional poker, before finally getting married and having my first son. Becoming parents changed our perspective on a number of things, but most profoundly as it pertained to how kids should learn. Nothing resonated with us until we learned about the Sudbury model and un-schooling. We fell totally in love with the idea of kids being self-directed, and knew we wanted to parent our kids that way. We also started wondering why no camps were applying these ideas. Why shouldn’t camps, which have no academic expectations, just let kids do whatever they want? What would happen? So we started one, and it went really well. We doubled the enrollment of the camp in two years, camper retention shot through the roof, and the experiences we had were deeply moving. In our community, the only enforced expectations are to be kind, not physically endanger anyone, and not do anything illegal. There are no bed times, no forced interactions, and no mandatory activities. 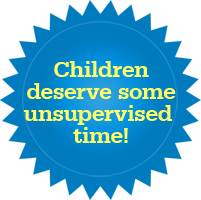 The law requires that kids be “supervised,” but we try to do that in the least intrusive way possible. We allow for privacy and autonomy while keeping an eye on campers from a distance. We also have a totally different take on “behavior management,” stripping away the authoritarian paradigm. “Consensual interactions” is the name of the game for our 100-120 person community. This freaks a lot of people out. How will the kids learn anything? Won’t they walk all over you? Spoiler alert: kids didn’t want to walk all over us. And they do learn things! While we do our best to provide fun things for kids to do, we don’t create the magic at our camp. The kids do. I’ll never forget the first time a counselor hung up some sheets of paper with the header: “Camper Activity Ideas,” The first sign up? 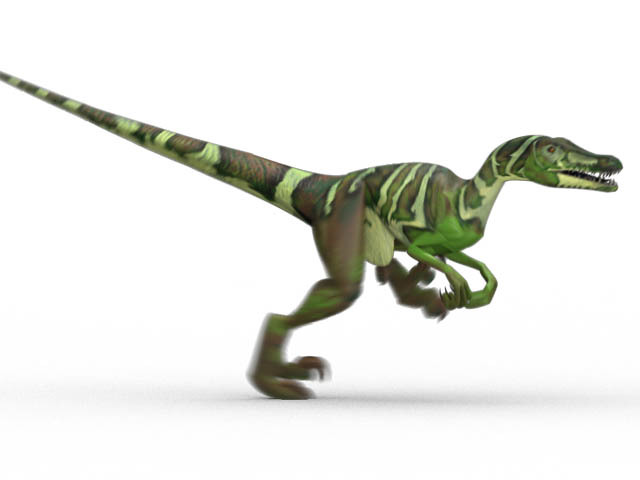 A young boy who wanted to take a boat to the other side of the lake — to find velociraptors. What he did find was almost 20 kids to go with him. We assigned some staff members to accompany them. So they did. They surprised and delighted the explorers. Memorable! This story isn’t unique. We’ve had kids protest the de-planetization of Pluto, travel to Narnia, re-create the moon landing… They also stay up “too late” sometimes, and they’re very tired the next day. They make other mistakes, too. But what better time to make mistakes, and learn from them, than when you’re a kid — at camp? When kids are given trust, they don’t want to take advantage of anyone. They just want to lead their own lives, and learn who they want to be. Our job is to let them. – J. D.
One camp rule: Feel free to hunt for velociraptors. Wait, what? Are kids supposed to learn something at summer camp? Isn’t this, like, their VACATION?? Holy cow that 13 year old kid in the story is my hero. I would love to send my kids (13 & 15) to a camp like the one in this article. Mind you, my daughter has been going to overnight camp since she was 8, and I agree that by virtue of sending kids to an overnight camp, they’re already practising being free-range. I believe that because I raised my kids as free rangers, it was no big deal for them to leave their parents for a week, and it was no hardship for us either! Hey Lance! He was my hero, too. The kids teach us so much every summer about creativity, trust, and community. I’ve bookmarked it for the time my oldest is old enough to attend. My favorite quote “we don’t create the magic at our camp. The kids do.” Yes, yes! This is lost on so many parents now who believe they are doing the right thing by denying kids freedom on one hand, and spending inordinate amounts of energy and money on manufacturing “magical moments” for them on the other hand. The outcome? No real fun. Hollow “magic”. This camp is a good idea, and I probably would have loved it as a kid, but I think it very closely resembles what summer vacation (and free time in general) looked like for ALL kids, ALL the time. Now an opportunity for “free, unstructured play” has been created for one week of each summer, for kids whose families can afford it. Yes, you can supposedly turn your kids loose to play in the neighbourhood, IF the neighbourhood is safe, and IF you don’t have busybody neighbours who’ll call the police if they see kids playing outside without an adult. I mean, I would hope that the kids who attend this camp would take their creative, free-range ideas home with them, but I’m not sure it’d work, because camp is a place that’s separate from home, where different rules apply–where your counsellor might declare “No Hands Dessert” on pudding night, or where you might paint yourself with poster paint for Colour War. So, kids might attend that camp, have a great time, but still think it’s normal to go home and stay “safe” inside, in front of their screens, under constant adult supervision, when they’re not being shuttled from ballet to swimming to piano to Brownies to karate, et cetera. So, the next step, I think, would be not only to get the camp running for the whole summer (because one week isn’t enough), but also to work with the camp parents in figuring out ways to bring camp home, so the kids keep engaging in active, imaginative, kid-directed play all year round. I meant, I think this camp resembles what “free time” ONCE looked like to all children, all the time, in the days before paranoia took over. Amazing that we now have to resort to formal scientific experiments to justify not putting children (or anyone else) in the exclusive company of people almost exactly their own age. I want to go to that camp myself! Sounds like fun! I want to go there too! It sounds terrific. Since my kids are not of that age, I hope these camps catch on for my future grandkids. It truly is incredible. The benefits of mixed-age interaction seem totally lost on modern society. And it’s amazing more camps don’t take advantage of it! Lenore, I love your whole philosophy but I groan whenever I see you mention SV school. I have several family members who went there in the 90s. One girl began smoking marijuana with the 16 year olds every day on school property when she was SEVEN and had moved on to other drugs, again at school, by the time she was 10. As an adult she has significant cognitive delays stemming from extreme early drug use. Another family member recalls days of sexual exploration with teenagers in the barn starting when he was 9. Great education there. Of course, there’s no early drug use or sexual exploration by public school students, is there? @BL Hey, you’re preaching to the choir with me! I completely agree with what you’re saying. It just makes me uncomfortable when people talk about unschooling like its some idyllic Peter Pan perfect last refuge of childhood. Let’s be as realistic about unschooling as we are about public schools and good ole Mayberry! As kids this is how my friends and I grew up. With the exception being that the legality part was sometimes pushed to the limit, we all survived intact. I agree that the free-range experience should continue beyond a single week at camp, but sometimes all it takes is that “one time” experience to open the door to continued possibilities. Having tasted freedom once, they will likely want more of it. And that experience may give them the confidence to explore other opportunities on their own. It is that first step that is so critical to boldly conquer the big wide world out there. Rather than the brief experience being viewed as an end, I see it hopefully, as the beginning. where is this camp? i’m 13 and i wanna go! This is awesome! I love the three rules. I also love allowing the children to actually use their imagination, as this has been declining rapidly. They learn plenty at camp by Playing! Many parents don’t see that the greatest teacher is play. This camp sounds great. Too bad New Jersey is too far away! My issue with Sudbury/Summerhill schools is they take a good idea and go waaaaay too far with it. When you read the stories graduates have they are often fairly disturbing. There are other models of democratic education (for example, IE Schools) as well as philosophies that have similar principles (Montessori, etc) that seem better. The last time I attended camp as a camper, I hated it. The first day was “normal” camp; get up by X time, breakfast done by Y, first activity from Z:00 to Z:45, etc. That part was fine. Due to camper “feedback” (read: whiny teenagers), the camp director made it open. You could choose to come to meals, but it wasn’t required. You could choose to go to bed, or stay up all night. You could choose to attend the activities, or not. In a blink of an eye, half the camp disappeared. Half the campers chose to stay up all night and sleep all day. It made camp boring. It sounds like “Summer Camp Revolution” uses camper directed activities opposed to “free for all.” I love that idea; enough adult involvement to be safe but camper directed and guided. @Jesse–I think your situation was different, because you’d signed up for a regular summer camp, with a daily schedule, and planned activities (even if there was some choice involved; for example, picking which activities to take lessons in, and some periods of completely free time), and for the first day, the camp was like that, and THEN the camp director changed the rules and turned it into a free-for-all. I’d imagine that it’d be a problem in reverse too, if kids signed up for a “free-for-all” type of camp, but got structured activities instead. So, the problem wasn’t that the camp was one way or another; the problem was that the camp didn’t establish up front what it was about, and stick to that. I’d imagine that the counsellors probably didn’t like this change either, because it probably meant that they had to supervise kids 24/7, given that “half the camp” stayed up all night and slept all day, while the other half maintained a normal schedule of sleeping and waking. Now, they probably took it in turns who stayed up and who got to sleep at night, but it’d still be a hassle–besides the disrupted sleep patterns, it’d be hard to get the whole camp together for anything, and the kids with similar sleep schedules might not have similar personalities, and a lot of traditional camp activities (swimming, boating, et cetera) are legitimately unsafe to do at night, or at least require much closer supervision……so, changing the camp’s entire modus operandi, mid-stream, on the kids’ say-so, just sounds like a disaster. Free-range is good and all, and yes, kids should be given appropriate choices, but if the camp is designed as a regular summer camp where everyone wakes up and goes to bed at the same time, and follows roughly the same schedule (even if different kids choose different activities during the times of the day when there is a choice), then it has to stay that way. The time to “review camper feedback” is during the off-season, when the campers aren’t there, so the adults can approach the following summer with a concrete plan that incorporates the campers’ feedback. Making major structural changes right in the thick of things, is just going to result in chaos.